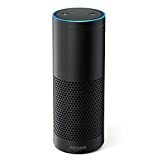 The Amazon Echo is nothing short of a complete game-changer for the consumer electronics industry. 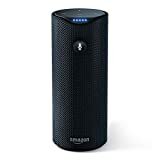 Wireless speakers have been around forever, but Amazon gave the market a massive shot of adrenaline when it added the virtual personal assistant lovingly referred to as Alexa. Whether you have questions that need to be answered, items that need to be purchased, or smart home devices that need to be controlled, Alexa is the perfect tool for the job. Add in high-quality sound and the ability to stream music from popular services like Spotify, and you’ve got yourself a winner. Amazon’s Echo speaker is a good value at its normal selling price of $179.99. When it goes on sale at $139.99, it’s even better. For Prime Day 2017, however, the Amazon Echo drops all the way down to just $89.99. This is the first time the speaker has ever been sold for less than $100 let alone a penny under $90, and it’s a deal you definitely don’t want to miss because it might not come around again. 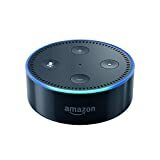 Also of note, Amazon’s Echo Dot and Amazon Tap smart speakers are on sale at deep discounts as well.